If you want to be indoctrinated into frenzied and rousing heavy music, the brand new album by this talented platoon of thrash metallers is exactly what you need. Strongly inspired by the blazing musicality generated by the most prominent bands from the Bay Area Thrash movement, especially names such as Anthrax and Testament, Finnish thrash metallers Inkvisitor (the Swedish word for “inquisitor”) are set to release their debut full-length album Doctrine of Damnation, aiming at indoctrinating all of us into their high-quality frenetic music. And what they do in this album, joining the strength of American Thrash Metal with the Scandinavian proficiency in crafting harmonious and melodic music, will help them achieve their purpose without a shadow of a doubt. Formed in 2012, this Jyväskylä-based band has really improved as a whole if you listen to their previous release, their 2014 EP entitled Delirious Tales, in terms of cohesion and aggressiveness of their music and content of their lyrics. They’re still a Thrash Metal band who loves to have fun with their music above all, of course, but now with a stronger focus on all aspects of the album production, such as the amazing old school artwork by Mad Matt Design and the deluxe sound quality, the final result is a lot more robust and pleasant to listen to. Can you guess what comes after the intro MMXV A.D.? If your answer is “pure old school Thrash Metal” you’re absolutely right, as the epic and devastating Damnation already pumps the listener up with its strong Anthrax-inspired vibe, especially the deranged vocals by Aapo Vuori and the sick riffs by Lauri Huttunen and Jesse Kämäräinen. And why slow down if you can accelerate the savagery like they do in nataS ageM (or “Mega Satan” if you read it backwards)? Its lyrics are an ode to old school Thrash Metal, in special its chorus (“The power of nature, pure anarchy / The regin of eternity and absolute / Lord of destruction, original chaos / He is the one true MEGA SATAN”), and I don’t know if you agree with me but I can easily visualize the iconic Joey Belladonna manically singing those words. I would even say that if the band was called “Pernarutto” instead that would make total sense (Google it and you will understand why). Focusing on a heavier sonority, the band tells a fun and creepy story of abduction that seems to be part of a B-horror flick in Abduction at Night, where drummer Petteri Milan has a good time switching from his rhythmic drumming to brutal blast beats, while Three Phases of Disembodiment showcases another interesting (but this time gory) story told by Inkvisitor. Moreover, its guitar lines keep the energy level high, with Aapo screaming and yelling his vocal lines to provide even more adrenaline to the music. And J-Town Anthem, their tribute to their hometown Jyväskylä, works as an intro to Eine Box (Mobile Shredding Unit), a song with a similar musicality from “Abduction at Night” where Inkvisitor once again deliver solid riffs, wicked vocals and huge doses of electricity through their music. 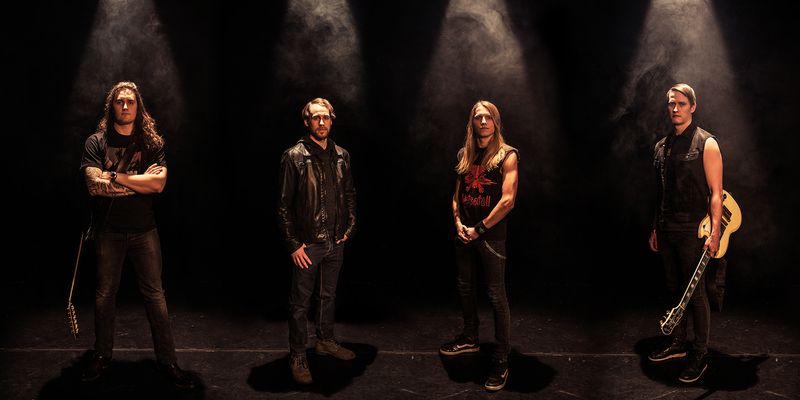 Mixing the speed from Megadeth and Testament with the attitude from Anthrax, fans of old school metal music will love the organic shredding and solos offered by Inkvisitor in Nothing to Live For. However, it’s in Hellbound For Carnal Knowledge that they reach another level of destruction in a little more than two minutes of pure headbanging, mosh pits and screaming. Its lyrics pay an awesome tribute to one of the best horror movies of all time, the disturbing 1987 classic Hellraiser (“Woke up with this / Puzzle in my hand / A tune so pretty lured me to open it / Carnal knowledge from another dimension / What have I done / I’m torn to pieces”), and I don’t need to say that if they don’t play this song live, we riot. 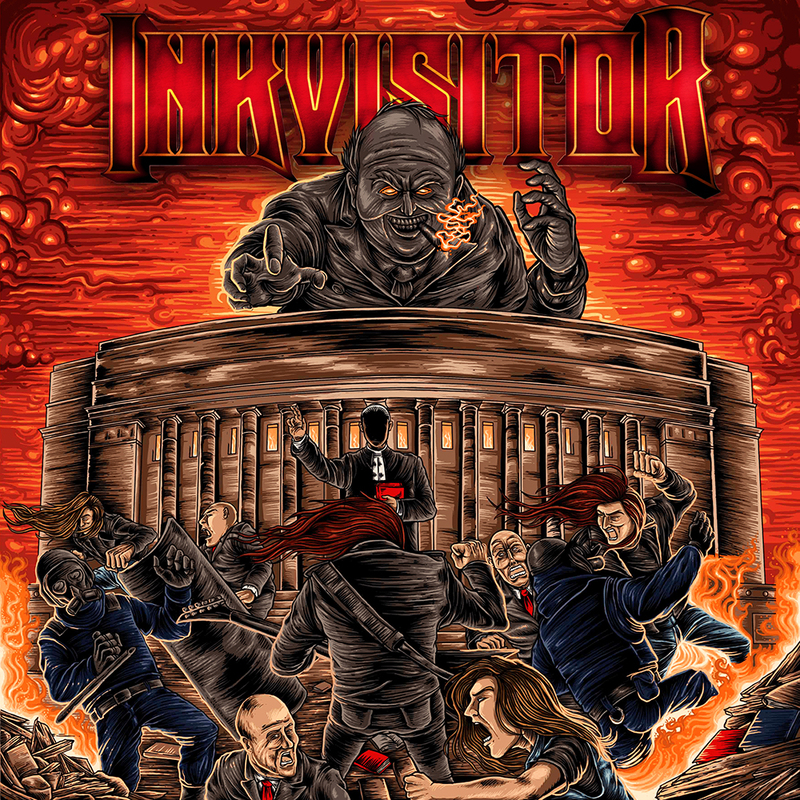 Lastly, closing the album in an exciting way, Inkvisitor sing about the power of the gods in Claim What is Yours, with highlights to its fuming guitars flawlessly supported by the solid bass lines by Pekka Hölönen and the precise beats by Petteri. It doesn’t matter if you get in touch with Inkvisitor through their Facebook page, YouTube or SoundCloud, and if you buy their album at their BandCamp page or at their official webstore, as long as you show your sincere support for these amazing newcomers of thrash I’m sure they will keep delivering awesome metal music to all of us. As previously mentioned, Inkvisitor are trying to indoctrinate us into their nonstop Thrash Metal music, summoning us all to go crazy into the pit, so why not give these guys a chance? They surely deserve it. Best moments of the album: Damnation, nataS ageM and Hellbound For Carnal Knowledge. Worst moments of the album: Eine Box (Mobile Shredding Unit). This entry was posted in 2015 New Releases and tagged aapo vuori, damnation, doctrine of damnation, finland, haje records, hellbound for carnal knowledge, hellraiser, inkvisitor, jc halttunen, jesse kämäräinen, jyväskylä, kalle raijonkari, lauri huttunen, mad matt design, natas agem, pekka hölönen, petteri milan, thrash metal by Gustavo Scuderi. Bookmark the permalink.